Waterfront! Prime location on Lido Key! This 3 bedroom/2 bath 2,966 sq. ft. home resides on the quiet, charming waterfront street of Washington Drive and is within walking distance to St Armands Circle and Lido Beach. Upon entry into this bright and charming home you enter into the very generous dining/great room with double French doors leading you to a spacious sundeck overlooking the waterway. Generous kitchen with breakfast bar seating, island and ample storage. Master bedroom with volume ceilings, walk in closet and French doors to the back lanai. Master Bathroom with glass shower, and soaking tub are a true retreat. Private guest wing with 2 generous guest suites and shared bath. Screened in lanai with pool and spa and covered entertaining space. Additional generous sundeck and dock that is equipped with electric both overlooking the waterway. 2 car garage. NEW ROOF to newest hurricane codes and was completed April of 2019. Not quite ready to live full here time – this home has great rental potential! (Previous rental rates provided upon request). Within walking distance, just one block away is St Armands Circle with boutiques, dining and events. Or one block in the other direction is the sugar sand beach of Lido Beach. Just past Armands Circle is vibrant downtown Sarasota with many cultural venues such as theater, opera, museums, shopping, dining, drinks and events. Relax and unwind on your sundeck looking over the sparkling waters with a great book, great view, and the all comforts of home. Restrictions: Pets allowed without restrictions. Please, send me more information on this property: MLS# A4431007 – $1,650,000 – 327 S Washington Dr, Sarasota, FL 34236. 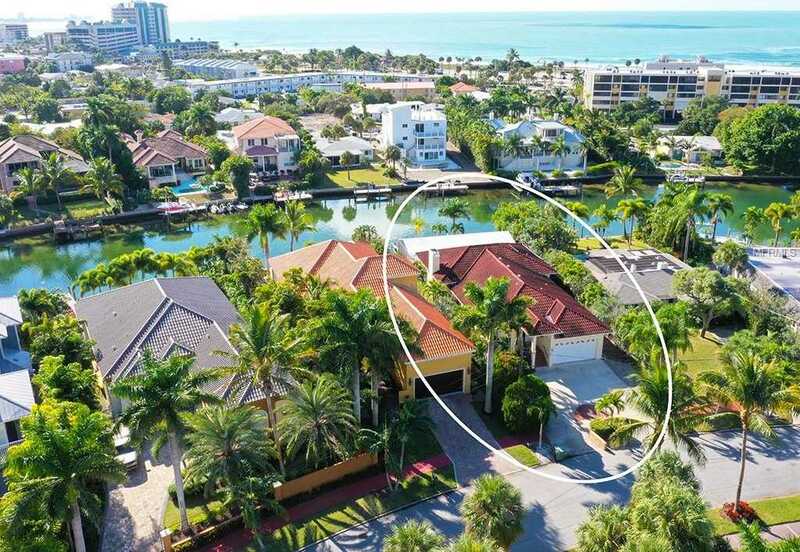 I would like to schedule a showing appointment for this property: MLS# A4431007 – $1,650,000 – 327 S Washington Dr, Sarasota, FL 34236.